Newham Council became the first in the country to publish a ratings scheme for residential lettings agencies, last autumn - with agents being awarded from zero to five stars, depending on their performance. 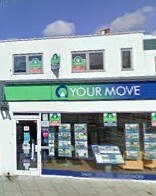 Below, we produce their verdict on the 28 Forest Gate agents they reviewed - and have comments on some that they haven't. The ratings scheme exists to complement the licensing scheme the council operates for private sector landlords in the borough, and covered recently by this site, here. The agency scheme judges the companies according to which agents failed to: refund renters deposits, failed to pass on rental income to landlords, charged unreasonable fees or failed to address complaints. 70,000 Newham households are in the private rented sector - so a majority of local residents will have an interest in the results of the scheme's publication. Newham's scheme is supported by major organisations with not-for-profit housing interests, such as Shelter, Peabody and Generation Rent - the campaigning body. 0 stars - The agent would have attracted a relevant criminal conviction within the last five years. Newham has not award zero stars to any local agent, a fact we consider towards the end of this article. 1 star - Compliance failure with a local code of conduct, or receipt of a caution of inappropriate behaviour over the last two years. 2 stars - The agent has not been receipt of any compliance failure notice for a period of two years. 3 stars - The agent is a fully complaint business, with no recent failures or convictions. 4 stars - The agent is a fully compliant business and a member of at least one relevant professional body. 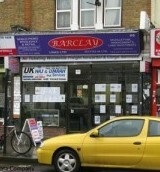 5 stars - A fully complaint business with no tenants' fees, or one which provides a credit ratings service for tenants. No Forest Gate agency has achieved five stars. East Ham's McDowell's became the first in the borough to do so - coinciding with the publication of the scheme in October last year. Newham Council has been a little coy in some of its categorisations. According to the criteria for each star, listed at the top of this article, lettings agents with relevant criminal convictions related to their business within the last five years, should be awarded zero stars under the scheme. Yet the council lists no agents with zero stars in its published details. But, as we showed in our recent feature on local criminal landlords (see here for details), the council has successfully prosecuted three local lettings agents over the last year, for relevant offences. None, however, has been listed as having zero stars in the register that the council is proud to promote as challenging and innovative. The council has fudged the issue. Filton's - 190 High Street, Stratford and SM Properties 468, Katherine Road, are both of which are listed as status "pending inspection". 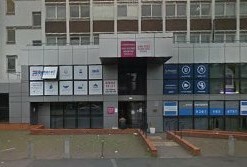 Barclays Estates of Upton Lane - isn't listed at all in the council's register. The zero ratings these agencies should have been awarded would clearly have been very bad for business for them; surely, the whole purpose of the register. The council's fudge, however, has meant that they can continue trading, apparently untarnished by a poor agency rating. We are an estate and property management group run by some of the most disruptive minds in the industry ... We .. play hard, without the bureaucracy (ed: like abiding by Housing legislation, apparently). ... We don't do uppity suits and fake smiles. That's why we're turning the industry upside down ... And we're pushing boundaries for clients with new revenue streams, managed short lets and award winning marketing . The company's intolerance of the niceties of the law got them into trouble on 7 June 2017, when they were fined £5,000 for a failure to display accurately display their letting fees on their premises, as required by consumer protection law. 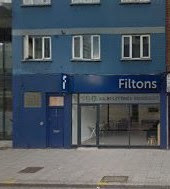 Any would-be tenant considering using Filton's is advised to search its Facebook presence. Its services are rated by 10 people - seven of them giving the firm only one star out of five. 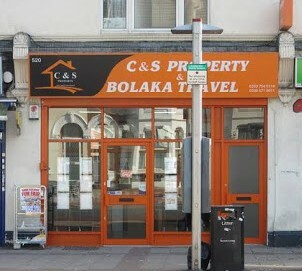 SM Properties was fined £4,000 on 13 September 2017 for a failure to display its letting fees appropriately, within its premises. coyly leaves it as an agency "pending"
Barclays Estates of 86 Upton Lane has been fined three times, following convictions instituted by the Council, but is not listed as even existing in the council's lettings agency register - see photo below as evidence to the contrary. Yeah we are always concern about as the person is good or bad but if we check the criminal history records and his name was there then we can really tell something about him ad we can really make a decision.